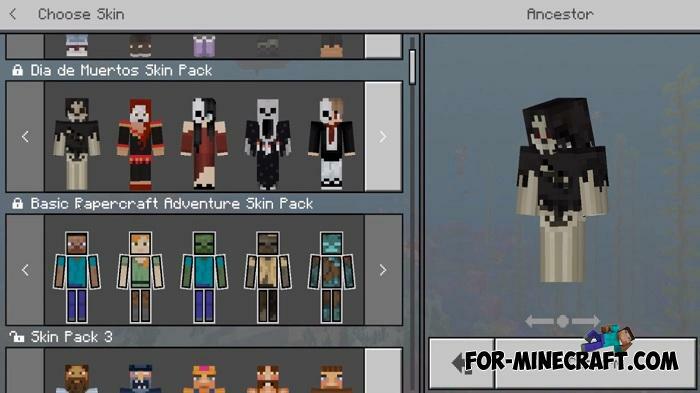 There are a lot of days before Day of the Dead, but now you can get 22 scary skins for Minecraft PE for free. All of them are fancy dresses that people wear on November 1st. You will surely have something to choose, even if you are a girl. 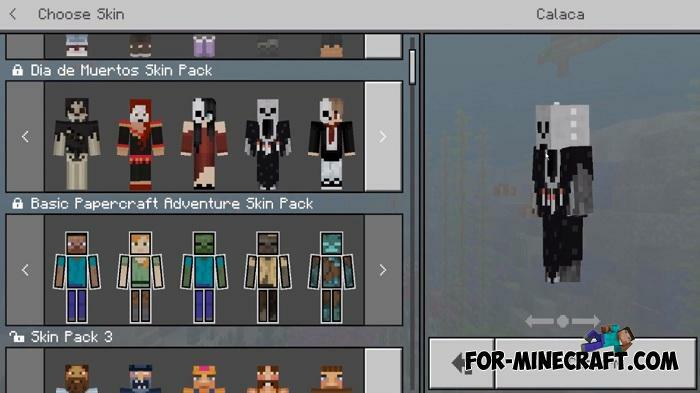 The pack includes completely different skins from skeletons to mummies as well as the face of this day Catrina. 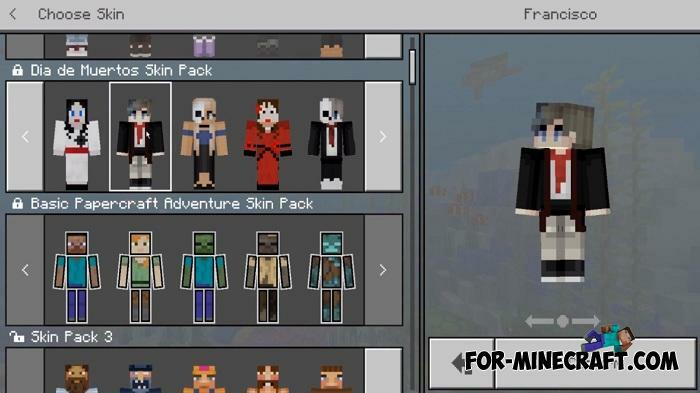 Wear any costume and join a server or cooperative with friends. 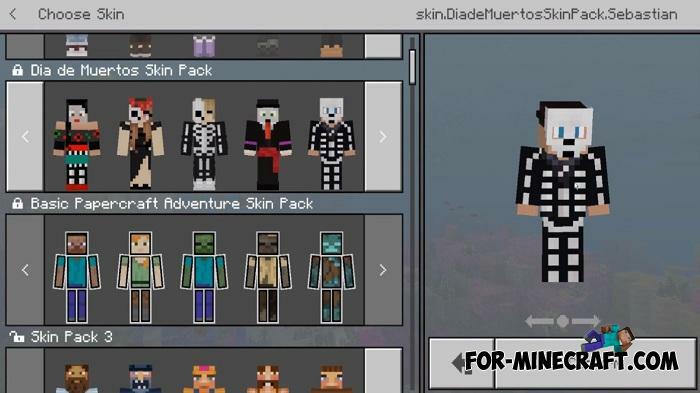 How to install the Day of the Dead Skin Pack? Open the downloaded file using the game. 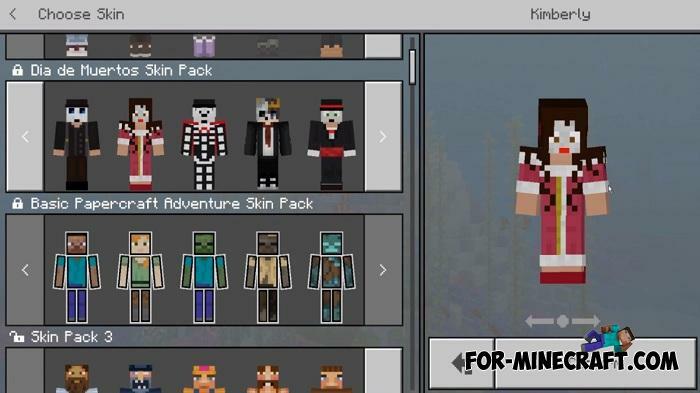 Go to the skins menu and choose one. The Walking Dead Locations for MCBE 1.8This map is a reflection of the events that occurred in The Walking Dead since the first series..
How to Install Minecraft Bedrock Dedicated serverThis is an early alpha release which developers still do not fully support.. 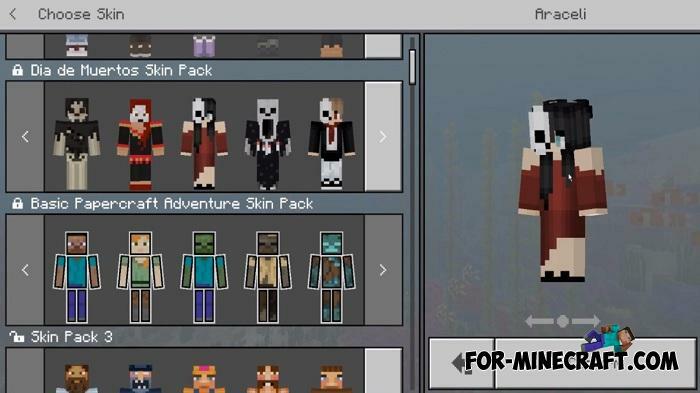 The Walking Dead mod (Minecraft PE 1.1+)Have you already watched the last season of the Walking Dead? Fancy Tables mod for Minecraft 1.8This simple little modification adds to the game a nice table, which can be made from different materials. Decorate them to his room.